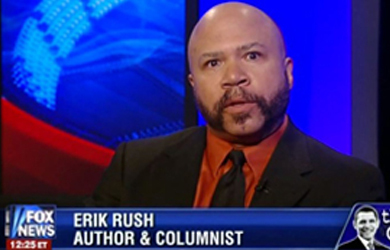 It can’t be easy, but conservative commentator Erik Rush is still finding ways to out-crazy himself. Rush has previously contended that President Obama is staging massacres like Sandy Hook, stoking gun violence and inciting civil unrest in order to secretly murder gun owners, put Americans in concentration camps, implement martial law, cancel the next elections and hand over power to China. 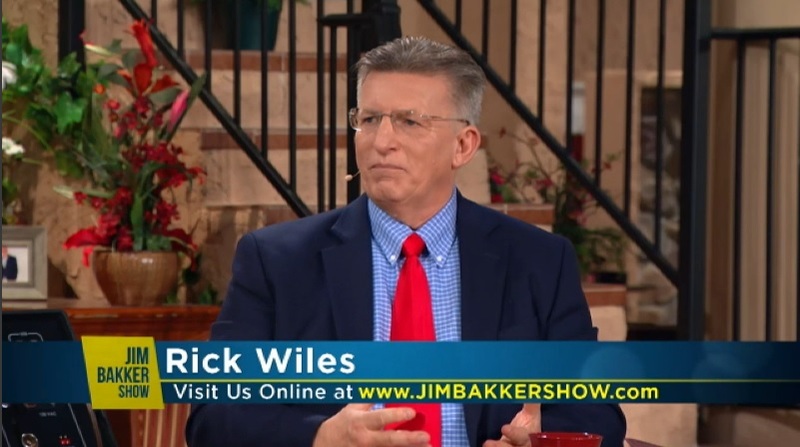 In his latest column for WorldNetDaily, Rush details a new theory that Obama is purging the military leadership in order to make it easier for him to murder U.S. citizens as part of a communist autocoup. Rush then ends his screed by lamenting that no one is taking him seriously. Americans have lived in relative safety and comfort for a very long time. It has been nearly 70 years since the nation operated in a modality that was geared toward its very survival, such as in the two World Wars. None of the military escapades in which we’ve since engaged possessed the gravity of those, and economically we have not suffered a calamity since the Great Depression matching that period. Other nations cannot say the same. There are developed nations on the globe that can account for 100 million people having been murdered by their governments or in civil wars within the same 70 years. In undeveloped nations, the history is even bloodier and more bizarre, particularly if you include starvation deaths. There are those in America who believe that the United States is long overdue for such upheaval, even deserving of same. In the 1960s and 1970s, radicals like President Obama’s mentor Bill Ayers and his Weather Underground comrades plotted America’s downfall, toying with estimations of how many millions of Americans they would have to kill to adequately pacify those remaining. This is not hearsay; it is a matter of public record. This methodology is boilerplate Marxism, in which Obama and key members of his Cabinet are well-versed, despite the benevolent representation of them maintained by the press. The questions remain: How, then, is America’s karmic comeuppance to come about, and by what manner do Marxist operatives in our government intend to pacify those patriots who won’t bow to communist overlords? As indicated, China will have a role to play, under the pretext of trade and debt satisfaction. Disarming the populace is also an integral part of the plan, which is why efforts to neutralize the Second Amendment are in play. Naturally, it will be far easier for a well-armed contingent of trained Chinese military scattered about the country to suppress an unarmed citizenry. China definitely has the personnel to spare, and some of the aforementioned Chinese companies reportedly have airfields on their campuses. I kid you not. But infiltrators from Communist China certainly won’t be the only problem. As one may have noticed, Obama has also taken great pains to cull certain high-ranking American military leaders. While this may appear to be business as usual, I have good reason to believe that some have been released due to their disagreement with the administration over new policies of domestic engagement. A number of orchestrated catastrophic catalysts intended to move the program into its next and most accursed phase remain on the table. Any of these would ignite full-blown domestic unrest. What I’ve described would, of course, make Obama a veritable devil behind the most elaborate mask ever devised. It is altogether possible that history will regard him in precisely that way, barring his wholesale success in manifesting these designs, in which case he will be revered as America’s founders were once upon a time, or perhaps at the level of a religious figure. Personally, I have counted Obama as a devil for a long time. I was fortunate enough to have commenced my study of him before most, and I can find few things more contemptible than his being able to look America in the eye (as it were) and quote the founders as well as Scripture, having done what he has done – not to mention what he has in store. While the scenario I relate remains incomprehensible even to a goodly number of Obama detractors, the direct and circumstantial evidence is overwhelming. Logically, it just isn’t that difficult to surmise that someone who grew up infused with a hatred for America and admiring history’s greatest serial murderers, and who is a malignant narcissist himself, might perceive it as his destiny to outdo them all.